After a couple of years of relative peace, anti-alien sentiment is on the rise. This is a direct allusion to the current immigration debate, where it’s people from other planets who are taking people’s jobs, and not folks from other countries. The Earth supremacist movement is being stoked by couple of Cadmus/Luthor flunkies, most notably Mercy Graves, Lex Luthor’s longtime (cyborg) bodyguard, and an yet unnamed jack-booted leader in a mask. Lena has been hanging with her mother in prison, picking her brain about the best ways to be evil. Okay, not really; she’s finding dirt other places to trade with the DA for Jimmy’s freedom. Brainy is more socially awkward than Winn ever dreamed, and it’s driving Alex buggy. 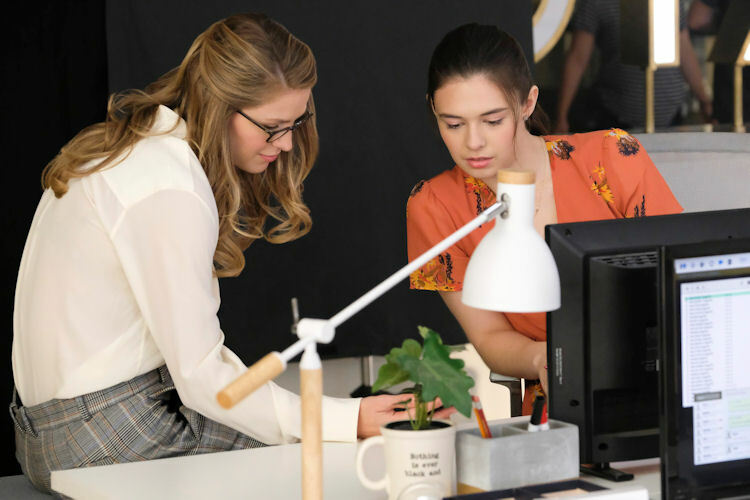 Kara is mentoring a young reporter who is essentially Season 1 Kara. CatCo is regularly getting scooped by other news outlets. They got scooped about Jimmy, for crying out loud. Where’s Snapper Carr when you need him? Superman is off-world, so Kara has been circling the globe saving lives, while Russian Kara is punching tunnels in fictional former Soviet territories. Meet Me on the Balcony: Without Mon-El or J’onn around anymore, I believe our heartfelt times on the Balcony of Feelings is going to be rare. Instead, we’re going back to the Season1 device of Kara and Alex having deep conversations, while pushing food around their plates. This time it was Chinese takeout. 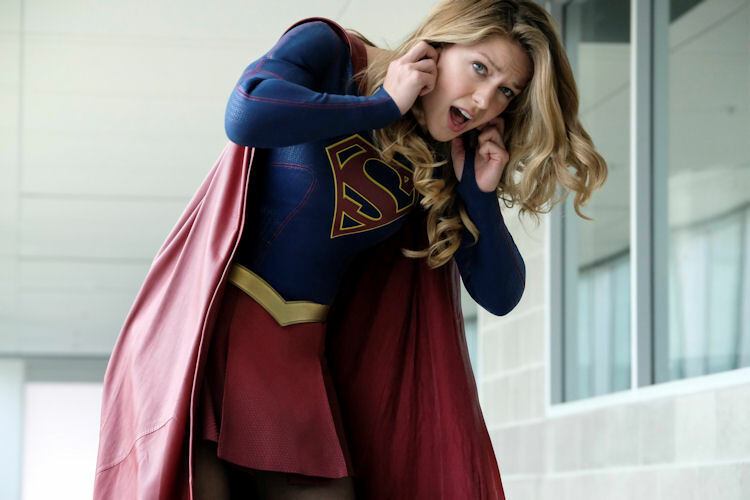 What about the action: The bad guy this week was more conceptual, so there wasn’t a huge setpeice, but we did get a lovely montage of Kara saving the day in various places around the world. She’s come a long way from the days where despite her best efforts, Kara could never get a win. The Graves siblings had some cool Cadmus gadgets that caused problems for Kara. It will be interesting to see if Mercy is going to stay a thorn in Kara’s side all season long. 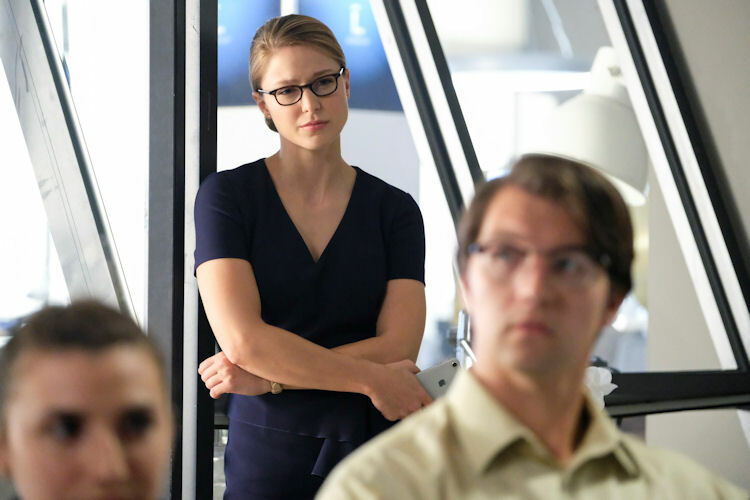 What’s next: It feels like the plot is able to go in any one of a dozen different directions, but it’s comforting to know Kara’s greatest superpower – optimism – is going to see everyone through. Really, Kara and J’onn had a whole conversation about just that. Last impressions: Nice to see Lynda Carter back on the show, even though she appears to be on the path of impeachment, now that her alien status has been revealed. It’s just another complication in Supergirl’s world. The season premiere had a lot going on between the previous season callbacks, and the shakeup at the end of last season, it felt like we needed a scorecard to keep up with what was going on. While I think there’s some good stuff in there, it feels like it might take an episode or two more to get back into the groove.